Some of our Riverside Animal Clinic pets! Want your pet on our website? Either share a picture in the comment section, or bring in a hard copy to the office. We'll scan it and return the original to you as quickly as possible. Note: By sending in, or dropping off your photo you agree to allow Riverside Animal Clinic permission to display your pets picture along with the "Pet's Name" and/or "Photo Caption" entered in the above form, on the riversideanimalclinicmi.com website. Also you understand some editing may be done to the image before displaying it on the website, this may including cropping, resizing, color enhancement, etc. We care about your privacy. 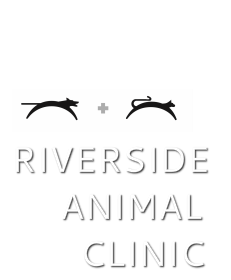 The information you provide is for the Riverside Animal Clinic use only and will not be released to any outside person or organization. Please share your thoughts and comments with us-- we'd love to hear from you! Monday-Friday 8:00 a.m.- 5:00 p.m. Saturday 9:00 a.m.- 12:00 p.m.